This pattern is taken directly from an old original shirt in a private collection. It is a mid to late 1800's style with fringe and tailoring reminiscent of Jeremiah Johnson and Buffalo Bill. 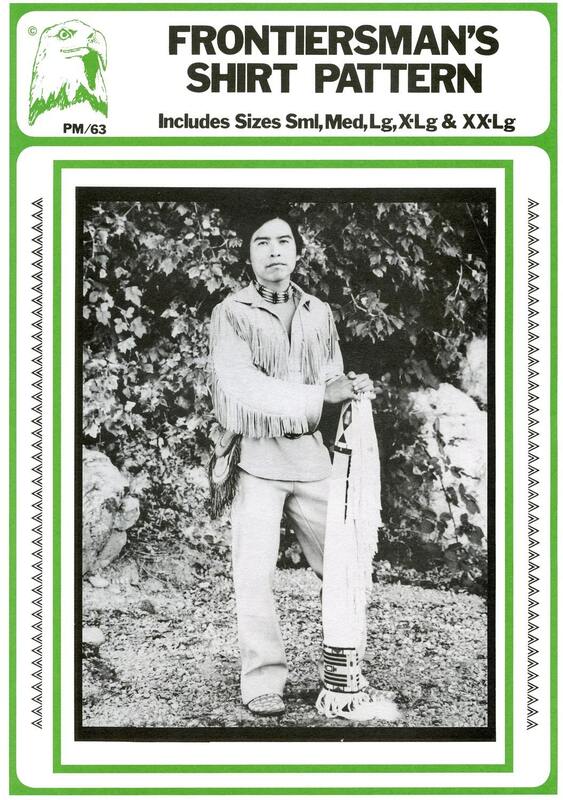 With the optional pockets, it is sure to be your favorite at rendezvous, pow-wows, and even at rodeos. 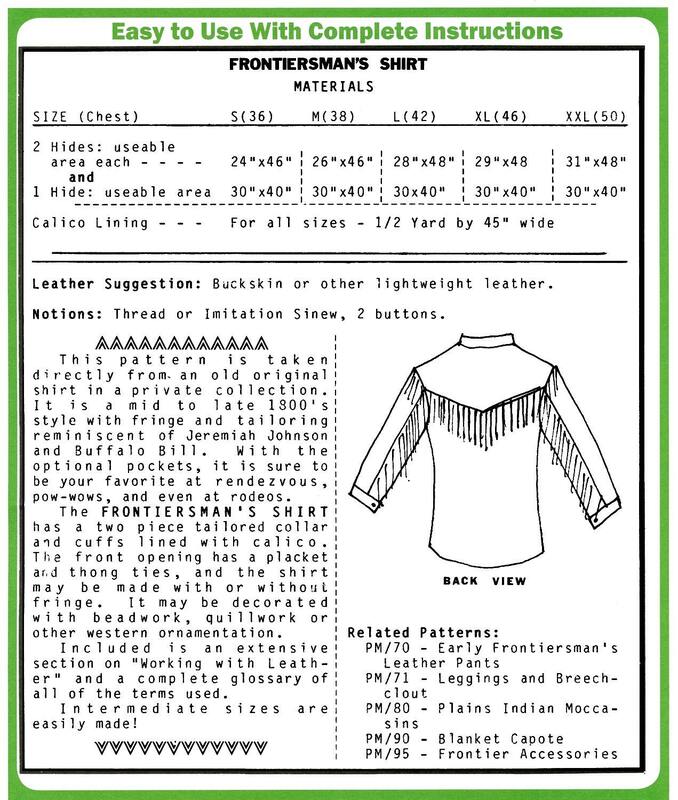 The Frontiersman's Shirt has a two piece tailored collar and cuffs lined with calico. The front opening has a placket and thong ties, and the shirt may be made with or without fringe. It may be decorated with beadwork, quillwork or other western ornamentation. Included is an extensive section on "Working with Leather" and a complete glossary of all of the terms used. Intermediate sizes are easily made!